It’s finally time for the knockout stages of the Women’s World Cup, and after conquering the group of death, the United States will face off against Colombia in their Round of 16 match. 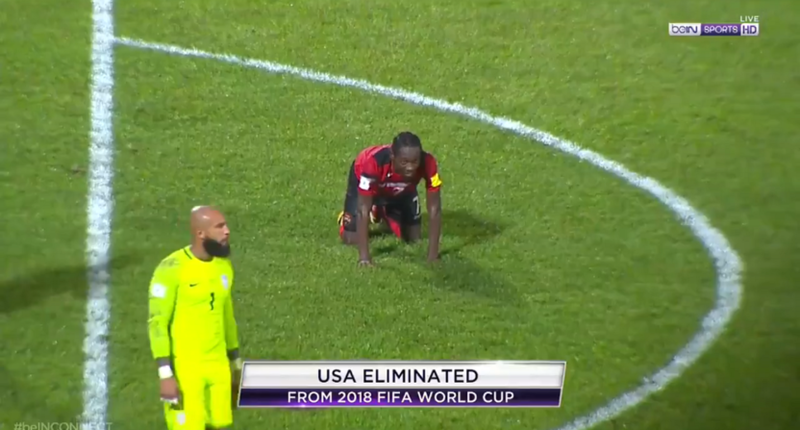 While the US won their group, their South American opponents advanced to the knockout stages despite finishing third in theirs because they were one of the top third place teams after three matches. On paper, the US should be able to control this match and move into the quarterfinals with ease, but the Colombian women won’t go down without a fight, and one of the star players has guaranteed a victory over the Stars and Stripes. Let’s start out with the big headline following this match. After learning that her team would face off against the US in the knockout rounds, Colombian forward Lady Andrade told reporters, “They (the US) belittle us. They think we’re a team they’re going to walk all over and it will be an easy game for them. We’re going to beat them since they like to talk so much.” This raised a lot of confusion within the US camp with players such as Alex Morgan and Tobin Heath both defending their squad, claiming that the US give respect to every team they face and Colombia is no exception. Will this bold statement spark a fire under Andrade who already leads the Colombians in goals with two? On the defensive end, the most impressive player on the Colombian squad, for me, has to be their goalkeeper Sandra Sepúlveda. After riding the bench for the team’s opening 1-0 defeat to Mexico, Sepúlveda came up with an outstanding six-save clean sheet performance against a French side that are currently ranked third in the world. Even in the team’s last game, a 2-1 defeat against England, the 27-year-old keeper made a couple of impressive saves to keep her side in the match and couldn’t be at fault for either of the goals conceded. If the US attack decides to finally show up this match, Sepúlveda could be in for another busy match Monday night. 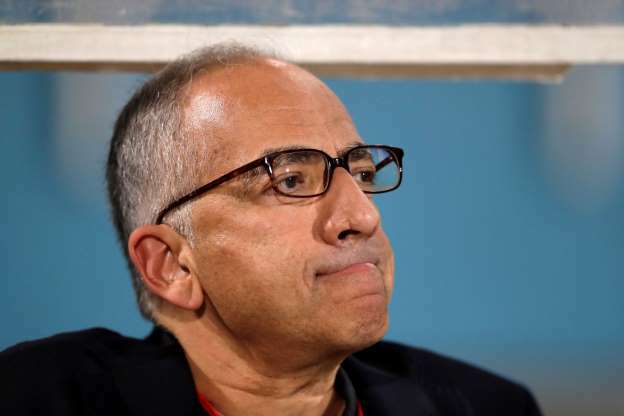 Switching over to the United States, the major concern going into the knockout stages has to be the lack of offense that has been produced through the first three matches of the tournament. Through those three games the attacking duo of Abby Wambach and Alex Morgan (who recently returned from injury) has been largely anonymous and much of the workload has fallen on Megan Rapinoe. 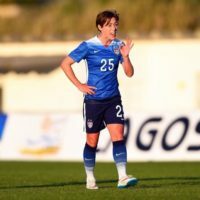 On a positive note, Wambach will be going into this match having finally opened her account this tournament with the winning goal against Nigeria in the team’s last match, and Morgan was unlucky not to find the net against the African nation as well. As the pressure starts to increase on the USWNT, more players will have to find ways to contribute on offense if they hope to claim the cup. Where the offense has struggled, the backline has shined. Through the group stage, the US defense let in just one goal through three matches with clean sheets in their last two matches. This formidable record has been a group effort with Hope Solo providing highlight reel saves and players like Meghan Klingenberg clearing shots off the line like she did against the Swedes. The Colombian attack will be fired up going into the match and will test this stout US backline with speed and great counterattacking play. Given the lack of goal support, it seems apparent that the defensive effort from the US will go a long way in determining this result. In the end, I don’t think that calling out a team like the United States before you play them in an elimination game is such a great idea. 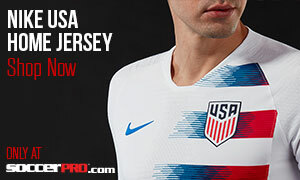 You don’t become the number two ranked team in the world without talent and that talent is going to push the US into the quarterfinals against China. Final result will be US 2-0 Colombia.